Very rarely will anyone die for a righteous person, though for a good person someone might possibly dare to die. 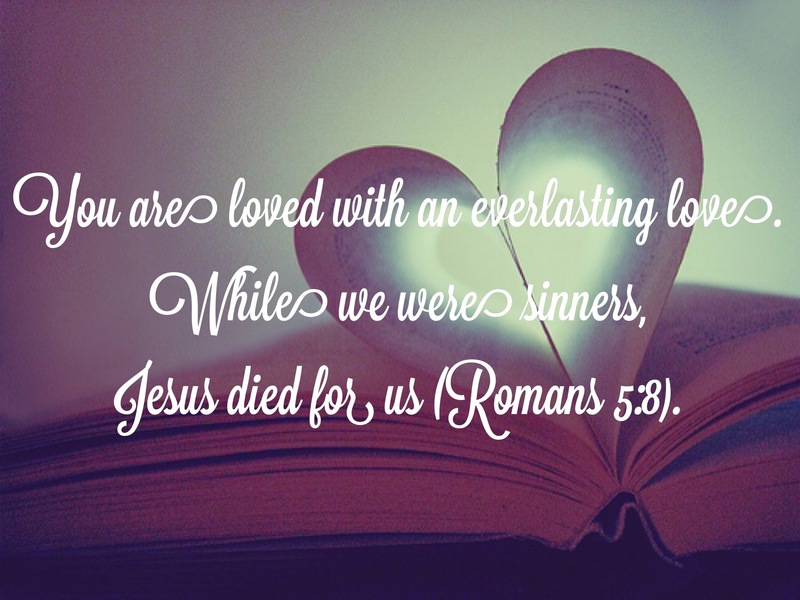 But God demonstrates his own love for us in this: While we were still sinners, Christ died for us, Romans 5:7-8. So when you, a mere human being, pass judgment on them and yet do the same things, do you think you will escape God’s judgment?Or do you show contempt for the riches of his kindness, forbearance and patience, not realizing that God’s kindness is intended to lead you to repentance? Romans 2:3-4. The title of my book is I Thought I Knew What Love Was. God’s love is so much better than anyone told or demonstrated for me. I yielded my heart to God because of His great love and pursuit. The longer I know Him, the more my life is transformed. I never wanted to write a book. I don’t like public speaking. I could contently live as mostly a hermit with Jesus. I’m an introvert who often retreats after long periods of time of human interaction. So, ministry was never something I longed for. God deposited His heart for people, and He’s the reason I share with others. Over the course of many years the conversations with God were often documented and many turned into psalms, poems, and prayers. You’ll find 7 years worth in the book. Some from me to Him and many His responses to me. This book was put together after friends and family kept telling me to publish them. I walked through a year or so of hesitation. I don’t care if people know who I am. I do want people to encounter Jesus and know who He is. So why love? That’s what God asked me to talk about and share with the world. In 2008 on mission to Brazil I was asked to preach in a tiny village. This place was a secluded village off the Amazon River. I prayed and asked God what topic or passage to cover. He responded with, “Tell them I love them.” How simple, yet so profound. I asked why such a simple message. His reply, “People do not know how much I love them.” So the message was John 3:16. For God so loved the world, that He gave His only begotten Son so whosoever believes in Him will not perish but have everlasting life. People who you’d probably see on National Geographic were the target of God’s incredible love. God’s love is on full blast 24:7 towards every person on the planet. Every person matters. I’ve met some opposition from people saying I must talk about the wrath of God. Or God is not only loving, He’s angry with our sin. He’s sending His punishment and wrath on evil sinners. Here’s my take on God’s love with biblical backing. Love is who God is, it’s not simply what He does. It’s His identity (1 John 4:8). God’s discipline is a result of love. You cannot separate love from discipline. Discipline is a fruit of love (Hebrews 12:6). God invites people into relationship and out of relationship transformation happens (John 15:5). Obedience to God is a result of love for God (John 14:5). We cannot love God without first receiving His love (1 John 4:19). We cannot give God love He has not first given us. We can only give what we possess. God knows that we are weak (Psalm 103:14) and prone to sin so He gives us His Holy Spirit (John 14:15-21). Out of love Jesus came to save the world. He knew we could not save ourselves, John 3:17. The penalty for sin is death and for the unrepentant eternal separation from God. However, God longs for no person to perish (1 Tim 2:4). Out of love, He sent His Son. So why love? Love is who God is. It’s not our human love. It’s not a we get to claim God and live as we please ( see the Unconditional Love vs. Unconditional Approval post). God is not weak, and He is not unmerciful. His mercy triumphs over judgement (James 2:3). God is perfect in all His ways. He longs for none to perish. He is perfect in power, love, mercy, judgement, and He is holy. I’ve seen the picket signs, “Turn or burn. God hates sinners.” I’ve seen people turned off from knowing God because those representing Him forsook love. I’m thankful God is better than our understanding of Him. I’m thankful the Gospel is about redeeming sinful people. I’m thankful God didn’t offer me death, but an invitation to life. I respect, honor, and fear Him. However, I’m with Him not for fire insurance, but out of the great love He’s showed for me. If there were no hell, I’d still be pursuing His heart as He’s pursued mine. Out of love I serve and obey Him. 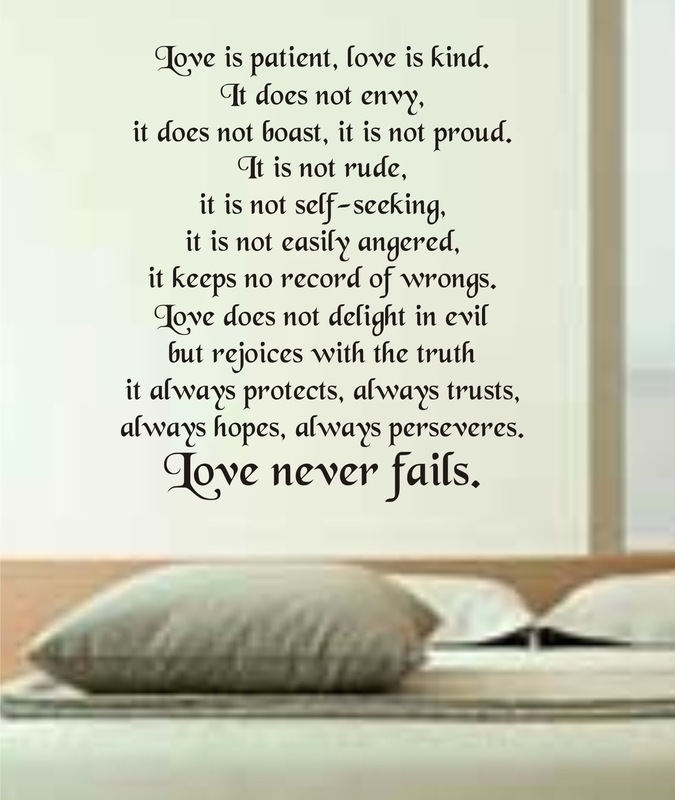 There is no greater love! God’s love is beyond amazing. The world needs to see and encounter God’s love, real love. Love that redeems, heals, tells the truth, corrects to restore, forgives, leads, helps, serves, honors, and empowers. Love that does not seek to dishonor, embarrass, or condemn people because those things are not really love.